Welltec A/S is an international provider of robotic well solutions for the oil and gas industry, providing services from the drilling & evaluation phase to the completion and production phases of our client companies. Our technologies are applicable in vertical, horizontal, deviated and technologically advanced wells. The company's flagship is the “Well Tractor”, a remote-controlled device that is able to convey other intervention tools and perform operations on wireline. The company was founded in 1994 by Jørgen Hallundbæk who came up with the idea of Well Tractor while being a graduate student at DTU. 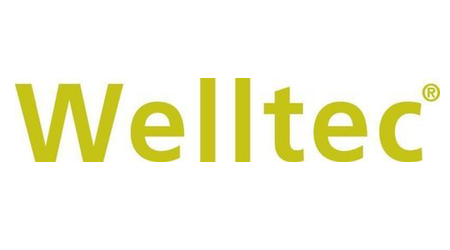 Since then Welltec has developed and produced several tools with different areas of operation and today has more than 45 offices and service facilities worldwide including Headquarters located in Allerød, Denmark. Welltec is constantly working towards improving their technology and automating the process by using Big Data, AI and 3D possibilities. At the end of 2018 we are starting up a new project of building a 3D world with Unity for making virtual representation of our tools and glancing into the “underground” world. Discovery and operation is a very complex and expensive process. Every breakdown of our robot can be very costly. We believe that these breakages could be greatly reduced by developing AI/Big Data based tools to assist robot operators. Our robots have sensors and logs data on continuous basis. Graphs of electric current, voltage, time, etc. are being displayed to indicate how well robot functions. Currently we prevent accidents manually by having an operator who follows the graphs and spot certain patterns indicating risk for accident. This can have an impact on the time between service, so sometimes the tools are not getting the need services and sometimes they get more than needed. We want to eliminate the buffer timer and optimize when tools are being serviced and prevent breakdown while operating for clients. •	Observe operating and other processes of our tools/robots and interview operators to understand currently known patterns. •	Analyse historical data logs with breakages to find patterns that would indicate upcoming breakage. •	Create Machine Learning algorithm with a feedback loop for continuous learning and pattern detection. •	Provide recommendations how can we present AI in user interface for end-user. At the end of this collaboration we would expect you to have proof of concept which can be presented to Management. It is also important that algorithms could work both online and offline since not all oilrigs have an access to the Internet. Computer Science, Mathematics, Statistics, Data Science, cand.merc.IT or other relevant program and have good Python/R, MatLab or C# skills. We also expect you to be passionate about Machine Learning, AI, robotics or industrial automation. To support you with this project, you will have an access to required data (log files from breakages and accidents) as well as possibility to interview our internal operators and other people involved in this project. We are ready to provide you with a desk and computer whenever you will be interested to do project from our office. You will also have an assigned manager from Denmark as well as our AI expert from Houston, USA, supporting you during this project. Besides you might also have an opportunity to go on a field trip to our development centre in USA.